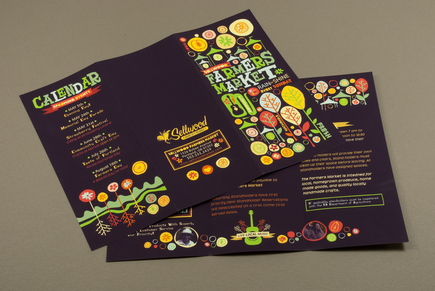 This playful, informative brochure would be appropriate for a neighborhood farmers market. The graphic, cheerful style of the brochure reflects the sense of community central to any farmers market. There is an ample amount of space to describe market guidelines, upcoming events, and how to register for a stand.